A guild may occupy only 1 main city at any time and not multiple cities. If a guild control a city, can enjoy different benefits. - Guild leaders and vice guild leaders can receive extra special ornaments, "Celestial Athens King Accessory," which are taken back when cities change hands. - Controlling guild can purchase exclusive reinforcement scrolls from Consul Weston. - Once you take down a city, you and all you guild buddies can collect a City Tribute Box from "Consul Weston" everyday as long as your guild controls the city. If your guild continues to defend the city from attackers, when you successfully defended the city for the 4th time, your guild tribute is increased to 2 boxes each day! This is increased to 3 boxes upon your 8th consecutive successful defense and you will continue to receive 3 City Tribute Boxes each day. 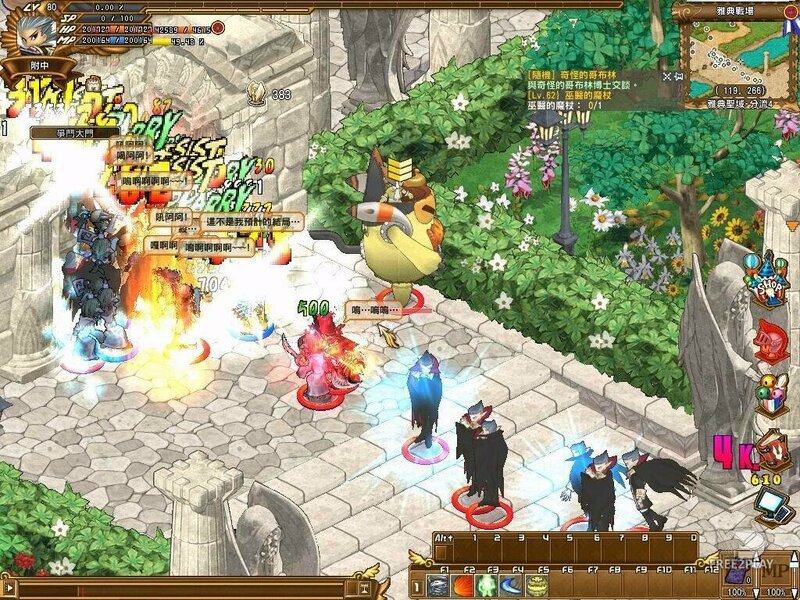 - Guild leaders and vice guild leaders can receive extra special capes, "Celestial Athens King Dignity," which are taken back when cities change hands. 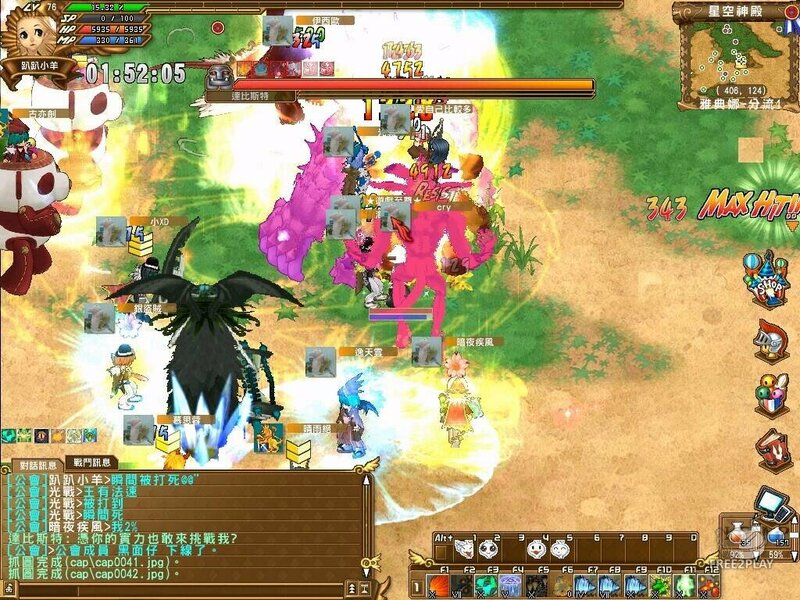 Besides general monster striking and treasure dropping, there are various ways of acquiring treasures such as through defeating random monsters with high treasure drop rate and passing stages with highly evaluated rewards. By incorporating tactical battling strategies, this game is more than a monotonous game of monster striking and treasure looting. Fast combat pace! Magnificent battle effects! The incredible feeling of being invincible against a hundred enemies! Unique equipment integrating and decomposing systems put items at their best use. Even the weapons and armors that can't be equipped can be used efficiently in other ways, thus preventing them from being sold as junk. 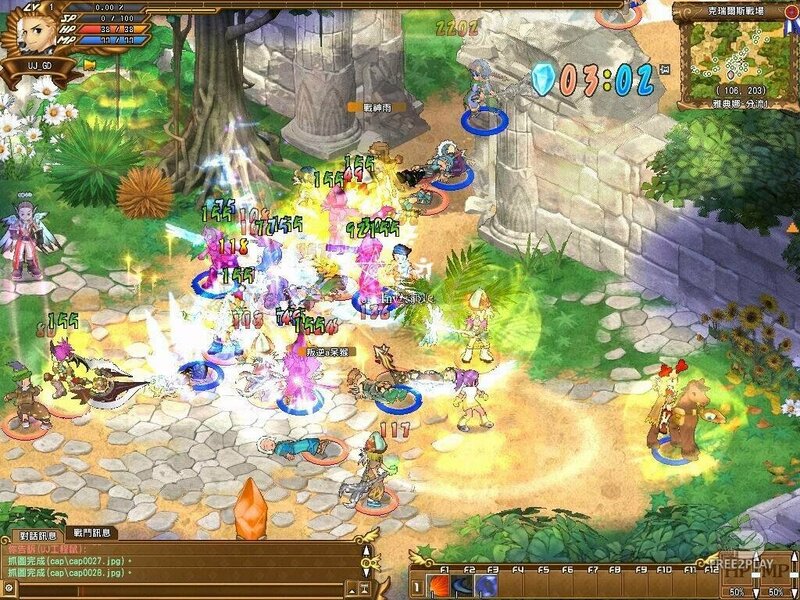 The game allows players form teams and open instances to avoid issues such as overcrowding, lack of monsters or fighting over monsters. Innovative pet system with a maximum carrying capacity of 10 pets. 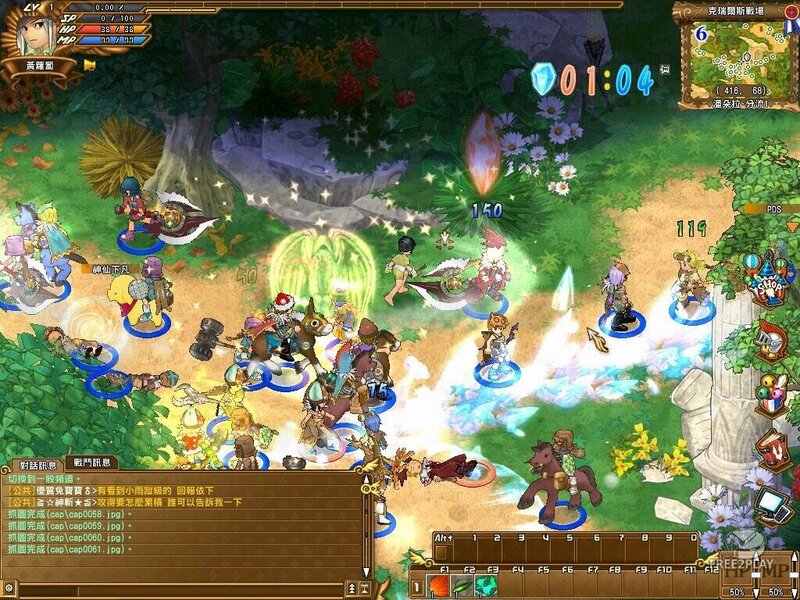 Players are able to arrange pet formations according to their preferences and to maximize pets’ abilities. The robot has been transformed into a battle machine from a mining tool and by implementing slaying skills, its power and practicality have been substantially upgraded. Joining existing teams upon entering an instance allows easier and faster team formation. There are different rewards for stages with different levels of difficulty. Both novice and veteran players can select levels of difficulty that are suitable to their character level. After defeating BOSS at all levels, champion who delivered the final killing blow will be able to display his or her victory speech, which is entered in advance, on all players' screens. Illustrated Handbook of BOSS and treasures dropped by BOSS are provided in the game for players. Whichever equipment or skill the players are looking for can be found easily. There are four initial compementary classes Warrior, Hunter, Master and Pastor. In the world of Gaia, there is a special production technique that can turn ordinary materials like potions and minerals in to various kinds of magical items. People call it “Alchemy.” The five categories of well-known alchemy are Red, Blue, Yellow, Green, and Star. All alchemies require different materials from on another and their results will also be different. In order to make someone your Mr. or Mrs. Right, you have to start by making friends with one another. Once you have a better understanding of each other, you can then add him or her to your love diary. When you add someone to the diary, the system will assign an affection degree for you, from 0 to 50. When someone has been added to your love diary, based on the pursuing actions taken by of the pursuer, you can see what kind of relationship you are in with that particular character. There are nine stages: Infatuation, True Love, Promise, Acquaintance, Crush, Puppy Love, Happiness, Selflessness, and Protection. These 9 indexes require different affection degrees. - Both man and women must be single. - The love index must be "Infatuation" or above. - Each must have an Acarra Diamond. Once you're married, you can still improve the Affection degree, and share the following benefits if both are online: drop rate increases, Physical and magical defense increase, When the couple is both on-line, 10 Intimacy points will be given for every 15 minutes, When the couple is both on-line and in the same scene map, 15 intimacy points will be given for every 15 minutes and When the couple is both on-line and in the same screen, 25 intimacy points will be given for every 15 minutes.